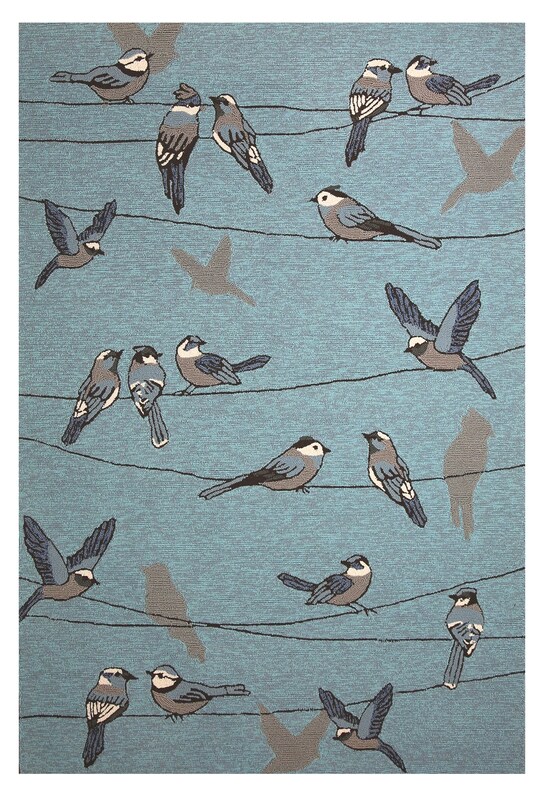 Harbor 4222 Blue Birds on a Wire 2' x 3'.Hand-tufted of 100% UV-treated Polypropylene with No Backing. Made in China. Vacuum with floor attachment only. Spot clean stains indoors. Can be hosed off outdoors and dried flat. Do not keep in standing water.